The Toronto International Film Festival will host a keynote conversation between Steve James and TIFF documentary programmer Thom Powers at its 2016 Documentary Conference. 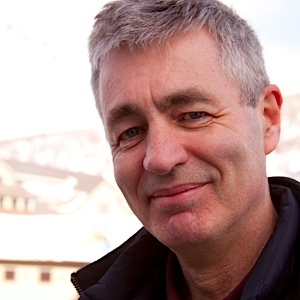 Steve James will also be the keynote speaker at the International Documentary Association's Getting Real 2016 conference, held September 27-29 in Los Angeles. Getting Real is "a unique gathering of filmmakers and industry professionals that brings the documentary community together for three unforgettable days of inspiring keynotes, vital conversations, practical workshops, dynamic presentations, insider knowledge, structured networking Unlike any other event on the documentary calendar, Getting Real is designed to inspire filmmakers and give them the skills, information, and networks they need to push their careers to new heights. The event serves as a critically needed field-building incubator that tackles the most meaningful and challenging issues facing the documentary ecosystem." Book your registration here. At TIFF, James will be a part of the day-long Doc Conference on September 13, which will also cover VR, true crime and other documentary trends. The festival's industry conference will run Sept. 9-15, with the festival itself running Sept. 8-18. TIFF organizers will make additional lineup announcements in the coming weeks. Steve James' affiliation with Kartemquin began in 1987 with the start of production of Hoop Dreams, for which he served as director, producer, and co-editor. He has since then become one of the most acclaimed documentary makers of his generation, with noted works being Stevie, The New Americans, The War Tapes, At the Death House Door, The Interrupters, and most recently, Life Itself. He is currently in production on several new projects.